BlackTravels.com Blog: The Joy of Paris. Paris! The city's name has conjured up magical connotations for me ever since I was little and my mother, a painter and sculptor, would entertain me with stories of the fabled city as she massaged Vaseline into my scalp. In 1949, my mother and her sister, along with their two friends, pooled their savings and embarked the long-defunct ocean liner, the Ile de France, to make a pilgrimage to the City of Light. Three of these young black women ended up staying in Europe and marrying European men. Only my mother returned, after her funds were exhausted, to Greenwich Village, where she met and married my father. Her months in Paris were a liberating time for her, not only because of her artistic interests, but because it had been a world, unlike the U.S. of the 50s, where a Montgomery, Alabama, native could be accepted on her own terms. She only returned to Paris once, a year before she died at age 39. On that trip, she brought my sisters and me on a three-month trip to show us some of the greatest art in the world in museums in Paris, Florence, and Rome. So when I received a small unexpected inheritance the year before my daughter Lola went off to college, I thought that it was a fit tribute to the grandmother she had never known to take her to the city which had shaped my mother's dreams. Because of our school and work schedules, we found that August, though it is the height of the tourist season and time when most Parisians vacate the city, was the only time we could take ten days away. 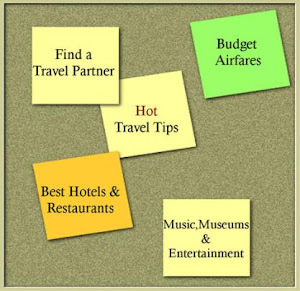 After researching airfares and hotel prices, we found that the least expensive option for our chosen dates and preferences (a small hotel, centrally located) was an air-hotel package through expedia.com. We chose the charming Hotel Lautrec L'Opera (8-10 rue d?Amboise, 75002 Paris, 01 42 96 67 90), which is located on a quiet side street off of Les Grands Boulevards, 7 blocks from the Louvre, within two blocks of the Metro Richelieu-Drouot, and three blocks from Galleries Lafayette. Lola and I walked almost everywhere, dividing our explorations by neighborhood. This location was perfect for our pedestrian excursions to the Ile de la Cite, St. Germain, Montmartre, Les Halles, the Palais Royales, Place de la Concorde, and the Musee d'Orsay. The hotel is housed in a former residence of the artist Toulouse-Lautrec (famous for his pictures of can-can dancers), and provides a wonderful blend of old-fashioned charm and modern conveniences (including the rare, in lower-priced European hotels, convenience of central air conditioning.) Our double bedroom was a comfortable size and had a very clean, recently renovated private bathroom. But the exposed beams, tall windows, renovated original walls and the minuscule antique elevator which more often than not "ne marche pas" (out of order) added flavor to our few waking hours at the hotel. The hotel staff was integrated and very friendly and helpful, from the front desk to the housecleaning crew. I have recommended this hotel to other African American travelers, who also had good experiences there. A satisfying breakfast with plenty of fresh fruit, yogurt, and croissants was served every morning. Our meal strategy for most days was to eat an early, large breakfast and then dine picnic style on our beds with bread, cheese, and pate from local markets while we read the papers and plotted our next day's adventures. When we did stop for lunch during the day, we ate as many working Parisians do, from bag lunches in the many lovely parks and gardens which grace the city. We bracketed our 10-day adventure with two panoramic views of the legendary city. On our first night, we took a boat (bateau mouche) ride on the Seine, the river which flows through the center of Paris. The night before our flight back to the U.S., Lola and I waited in the longest line of our trip for a midnight view of the city from the top of the Tour Eiffel. The boat ride gave us an introduction to the layout and major sites and neighborhoods of the city; the view from the top of the tower, with the lighted bridges and monuments appearing like jewels flung across the night, gave us an unforgettable last view of the magnificent city. We purchased a Paris Museum pass (interMusees, 4 rue Brantome, 75 003 Paris, tel. 33(0)1 44 61 96 60, www.intermusees.com) which was a great bargain, as it allowed us free and unlimited admissions not only to major sights such as Versailles (where pass holders didn't have to wait in line for admittance), the Arc de Triomphe, the Pantheon and the Louvre, but also to fascinating smaller museums such as the Rodin and Middle Ages Museums (the latter the home of the famous Lady and the Unicorn tapestries). After four trips to the Louvre, the pass had paid for itself. The pass is available at participating museums and monuments, major metro stations, the Paris Tourist Bureau and the department store FNAC's ticket counters. We found the street life as rich and fascinating as the national monuments and museums. We had never imagined that urban landscapes could be so beautiful! Many times we had the experience of turning a street corner and being surprised by a perfectly proportioned square, a lovely statue, or a carefully designed little park. We spent hours as Parisians do, sitting at a tiny café table, watching the variety of humanity pass by, from elegantly dressed smokers to veiled Muslim women to diplomats who looked crisp even in the August heat to Italian high-school students on holiday. My daughter, born and raised in Colorado Springs, Colorado, particularly enjoyed the richness of a truly multicultural city. We both delighted in the experience of often being mistaken for French by tourists and Parisians alike. Perhaps this was the reason that we, unlike many backpack-toting tourists, didn't have any problems with pickpockets on the few times we took the metro. My long-dormant, school-girl French revived quickly. Lola thought it was funny that so many Parisians I spoke to had no qualms about giving me impromptu but friendly French lessons: correcting my pronunciation, explaining differences between words, and giving me the correct term when I was at a loss. I must say that Lola and I never experienced the legendary Parisian rudeness toward Americans, though we were unaccustomed to what seemed to be the benign indifference of the waiters in the cafes. We finally decided that it was a different attitude toward time: unlike the American servers, who are trained to inquire after 10 minutes (which would be halfway through an American meal) if "everything is OK", French waiters seem to assume that you will be there for a while, and that if you want something, you'll ask. We also loved going to mass almost every other day in different historic churches. Since the order of mass is always the same, no matter what country one is celebrating in, we felt we could participate fully in the services. From the nuns, determined mid-day mass performed against the hum of thousands of tourists in Sacre Coeur to the quiet service which seemed to be attended by a handful of regulars at Notre Dame des Victoires, our churchgoing experiences in Paris provided several of the most memorable aspects of the trip. Not only was it spiritually refreshing to worship amidst so much beautiful artwork and historic significance in even the less famous churches and cathedrals, but at every mass we noticed that a significant portion of the worshipers (at least a third) were black, and there was always at least one black priest at the altar. I had never experienced this in the United States. A special treat was being able to be present, on our last full day in Paris, at the Feast of the Assumption. We joined a procession of the faithful as it made its way behind a large statue of the Virgin Mary through the Ste. Germaine neighborhood. The procession made several stops at local churches and historic sites, where a priest with bombastic rhetorical skills reminded the listeners of the special relationship between France and the Catholic Church, which has lasted for almost 2000 years. The combination of religious fervor and fervent nationalism of his jeremiads amused us even as we were impressed by the deep faith of those around us. Several Parisian churches provide venues for musical concerts as well as religious rituals. Lola and I spent a splendid evening in the famous Eglise de la Madeleine (Madeleine metro stop), soaking in the strains of Schubert and Vivaldi while gazing at the gorgeous artwork which decorates this neo-classical church. Sunday concerts during the academic year here are free. Paris is a city rich in historical and cultural sights, and ten days didn't give us anywhere near enough time to see all that we wanted to see. My most important tip for first-time visitors to Paris is to walk the streets! Much of central Paris is a marvel of urban design. There were so many little delights we would have missed if we had only metro'd or taxied between tourist sights: the statue commemorating Moliere on a little square near the Bourse, the sugar crepes from a street vendor in the Tuileries, the residence of one of my favorite writers, now commemorated by a small plaque, our favorite boulangerie where we joined working people getting bread and pastries discounted at the end of the day. 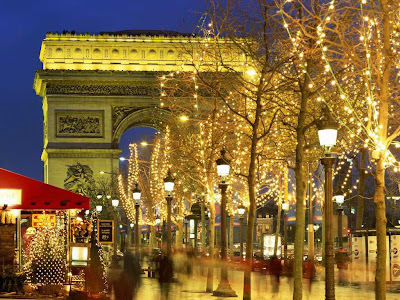 We felt perfectly comfortable walking around central Paris at all hours of the day and night. I have read stories of African men (and African American men briefly suspected of being African) harassed by the police in Paris recently, but my daughter and I didn't experience anything of the sort. Our day trip to Versailles was the only low point of the trip, and the only time when there seemed adownside to being in Paris at the height of the tourist season. Although we bypassed the gargantuan lines to get in, thanks to our museum passes, the human crush, mostly, it seemed, people on bus tours, in the poorly ventilated rooms was unbearable, and once you started through the royal rooms escape was impossible. For Lola and me a little bit of Rococo and gilt goes a long, long way. The only part of this excursion which we enjoyed was our lunch at a little café in the village. Instead of spending a day here, we wished we had had time to see the Museum of Romantic Life, a small museum on the pass plan. After consciously seeking out the historically Black neighborhoods in London the following summer, I've promised myself to explore the immigrant neighborhoods of Paris on my next trip. We also wish we had known that just about everything, including stores and sights, are closed on the Feast of the Assumption. I had put off buying souvenirs and books until our last full day, which was the national holiday, and the entire city was shut down. Those ten days I spent with Lola in Paris were some of the best in my life, and not just because of the adventure of seeing a great city with my own eyes. Even more than the incomparable artwork, I enjoyed the lovely architecture, and the multicultural richness of this historic city. I treasure the memory of sitting with Lola at a sidewalk café, watching the river traffic as we sipped red wine that was cheaper than Coca Cola. I hadn't felt the intimacy of our hotel bed picnics, dropping crusty French bread crumbs on the bath-towel tablecloth and exchanging sections of the left-wing newspaper, since she had entered adolescence. The pleasures of trying out fancy skin creams at a pharmacy on the Champs Elysees or browsing the riverside bookstalls were simple but deeply rich for me. In the year and a half since our trip, I have often drifted off to sleep recalling memories of those 10 days. Perhaps one day Lola will share the experience of this city with her own daughter. photocourtesy of David at A Muchness of Me.